Bubbles in a patch of ice that caught soft late afternoon light. Click the image for a view with better detail and contrast. Love this image! The composition and contrast are great! Well done! Must be clicked on to be fully appreciated. Beautiful abstract with very nice contrast and details. Great capture. This is super cool Tom!!! Frozen champagne -- well done, Tom! This tickles the imagination- beautifully composed with excellent contrasts and clarity. 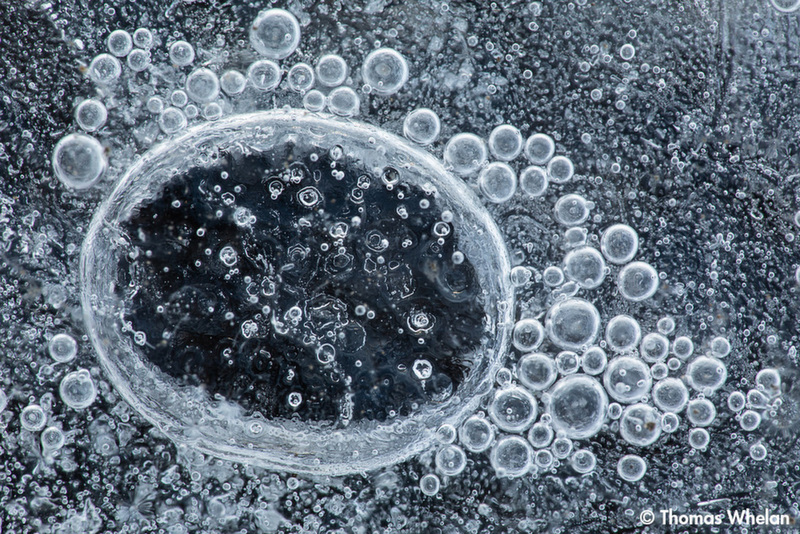 Cant beat a few Icey bubbles for a great abstract! This reminds me of a handheld makeup mirror. Great abstract. Superb patterns, composition and perfect contrast in this beauty, Tom! Really nice, Tom. How large is the largest bubble?